Author and rabbi of Smyrna in the first half of the nineteenth century. He went to Jerusalem in 1821, where he succeeded Joseph Ḥazan as chief rabbi. 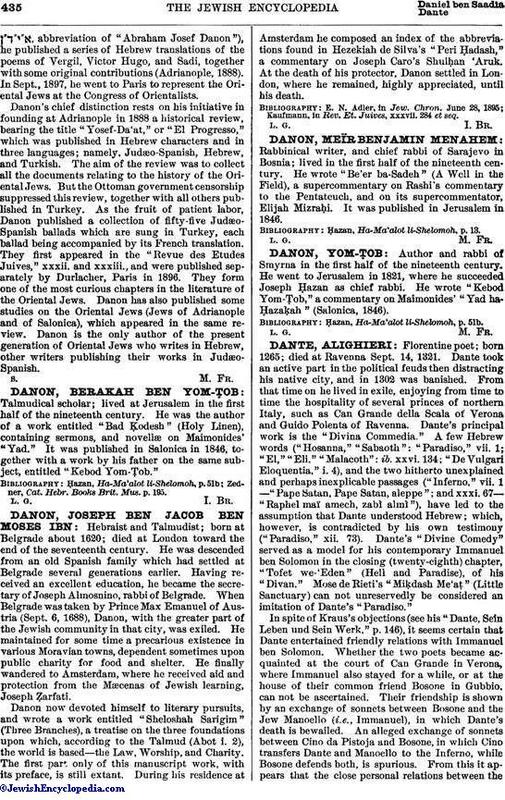 He wrote "Kebod Yom-Ṭob," a commentary on Maimonides' "Yad ha-Ḥazaḳah" (Salonica, 1846). Ḥazan, Ha-Ma'alot li-Shelomoh, p. 51b.